A quick shot of some custom hearing protection covers in DPM I made this week. These are actually the first ones I’ve done in DPM. Even with all the new stuff coming out, the woodland version is still one of my favorite patterns. MC covers get made every week for the most part, sent out emails the last couple days for guys who are next up on the build list. 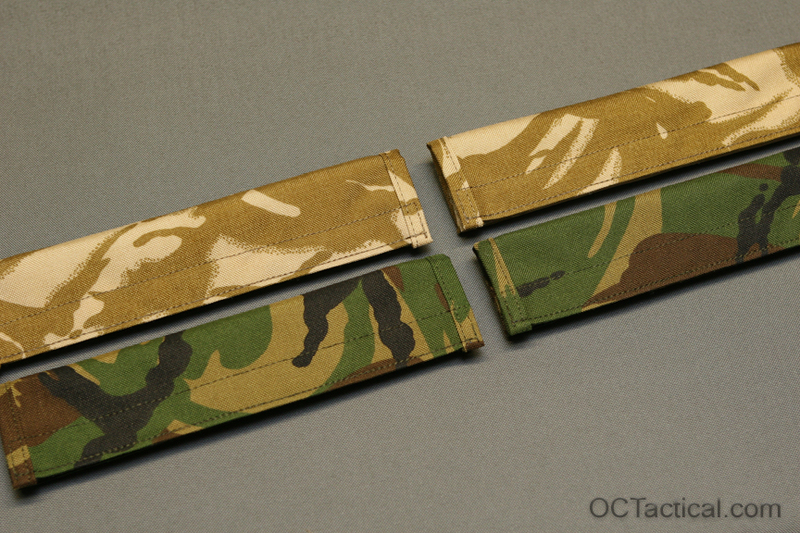 If you want to put in an order you can email me at css@octactical.com and I’ll add it to the build list. All covers are $20 plus shipping regardless of the color. They come standard with velcro on top for a name tape unless you request it to come without. I will also sew a customer supplied name tape on at no additional charge instead of the velcro. Wow, they came out better than expected. I wish I would have made an extra woodland cover for myself 🙂 I did some woodland and desert cadpat covers about a month ago that came out awesome also. Mike, your work is awesome! This looks goos, as usual. Your products show a great quality, both in materials and manufacturing.